FACTORY EFFEX UNIVERSAL DIRT BIKE GRIP TAPE SHEETS - Blockers Enterprises, Inc.
Includes one 12” x 18” sheet per package. 12 mil. 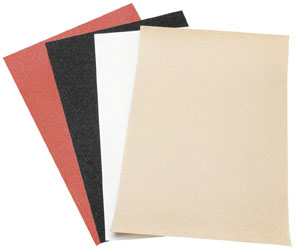 vinyl with high or medium grip in clear, and high grip in black texture, with super stick adhesive. Adds grip to your bike to help you keep control. Helps protect your graphics and frame. Used by Team Kawasaki.